Over 40 years ago, the SRC was founded upon the development earthquake analysis software. It all started using PDP-11 computers to drive our EQLOCL (EarthQuake LOCation for Local events) program, whose core algorithms are still used in our modern day software. We progressed to developing software for the Mac Classic operating system, then went cross-platform with our Java-based applications eqWave (replaced by Waves) and eqFocus. 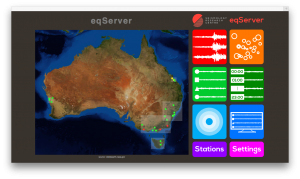 The core of our observatory data management system is eqServer which is built on Linux and is totally web based. It shows us the status of our seismograph network, displays real time data full screen, notifies us automatically when an earthquake is detected, and simplifies the process of retrieving data from our archive. 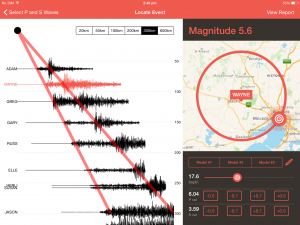 Our first iPad app is Quick Quake, a rapid, clever and fun way of locating earthquakes, and a great educational tool to show how seismologists analyse seismograms to calculate the location and magnitude on an earthquake.